The cast for DC's Birds of Prey movie is gradually coming together, and now we know who will be portraying Huntress. 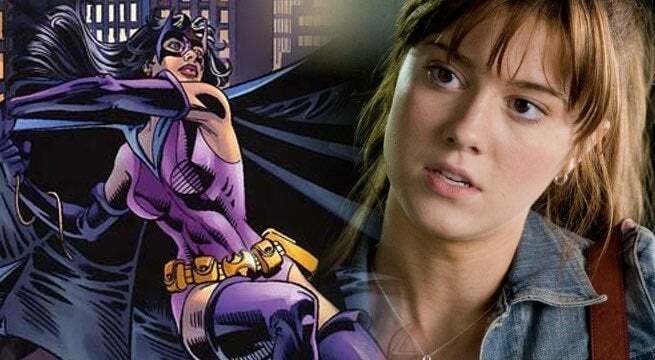 According to new reporting, Mary Elizabeth Winstead has been cast as Helena Bertinelli/Huntress in the upcoming DC Extended Universe venture. Winstead is best known amongst comic book fans for her role as Ramona Flowers in Scott Pilgrim vs. the World, as well as her performances in 10 Cloverfield Lane, Fargo, and BrainDead. The actress beat out quite a lot of actresses for the role of Huntress, including Death Note's Margaret Qualley and How I Met Your Mother's Cristin Millioti. In the pages of DC Comics, the Huntress mantle is taken on by several different characters, with Helena Bertinelli being the most prominent. Helena is the daughter of one of Gotham's mafia bosses, who turns to a life of vigilantism after her family is murdered. She soon joined forces with Batgirl and Black Canary, with the three of them being seen as the main trifecta of the Birds of Prey. While Helena is occasionally seen as a little impulsive and violent, she has proved to be a hero on many occasions. Over the years, Huntress has had quite a few television appearances over the decades, including Batman: The Brave and the Bold, Justice League Unlimited, and Arrow. Birds of Prey will mark her big screen debut. Birds of Prey will see Huntress joining up with Harley Quinn (Margot Robbie), as well as Black Canary, Cassandra Cain, and Renee Montoya, to take down the DC Comics villain Black Mask. Fans have hoped that the cast will contain diverse representation, something Robbie herself has campaigned for. "Yep, yes exactly, real life isn't so one specific images," said Robbie. "We've got to reflect that onscreen." Birds of Prey will be directed by Cathy Yan, and produced by Robbie alongside Kroll & Co Entertainment's Sue Kroll and Clubhouse Pictures' Bryan Unkeless. A version of the script was penned by Bumblebee's Christina Hodson. What do you think of the casting for Birds of Prey's Huntress? Let us know what you think in the comments below.